From food to veterinary treatment, pet care costs can soon add up. Here are just five ways in which you can spend less on your pets whilst still providing for all their needs. If you’re sick of constantly having to buy pet food, it could be worth buying in bulk. Not only will you have to go pet food shopping less often, but you could save money – a large pack of kibble may cost the same as five small packets, but may only cost the equivalent of three of these packets. You may not always find these bulk options in your local store – wholesalers and online suppliers may be a better option. On top of food, you can also use this trick to save money on pet supplies such as rodent bedding. 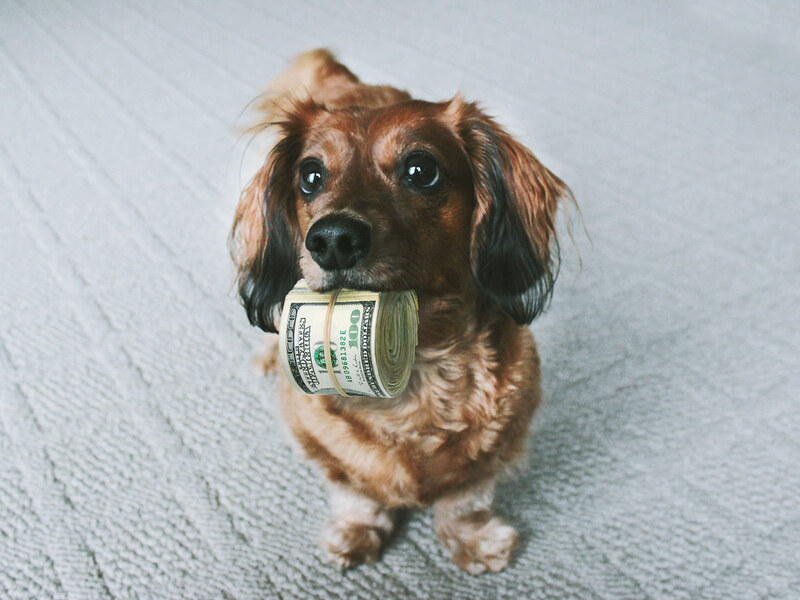 You can also save money with DIY pet toys. When it comes to dogs, you can easily make your own tug ropes by twisting together a few old t-shirts and knotting them together at each end. When it comes to small rodents such as hamsters and mice, you can let them use empty cardboard tubes left over from toilet roll as tunnels. Check out this site www.bigdiyideas.com for more DIY ideas. Vet bills can be on the biggest expenses of owning a pet. Most pet owners stick to the clinic that’s most local to them, but if you’re willing to shop around you could find cheaper prices. Veterinary companies such as www.easipetcare.com specialise in providing low cost vet care for those that are on a budget – signing up to one of these clinics could give you access to much cheaper treatment. It’s worth also looking out for pop-up vet clinics where you can get routine treatments done very affordably. Pet insurance spreads out the cost of veterinary treatment so that it’s more manageable – rather than having to pay for individual treatment in large sums, you can pay a small monthly fee and have it all paid for you. Pet insurance isn’t always financially worthwhile. When it comes to taking out insurance for older pets, you’ll often pay much more expensive fees and may be better off simply paying for treatment outright. You can compare pet insurance schemes at sites like www.gocompare.com. You can also save money on your pet by ensuring that they live a healthy lifestyle. Overfeeding a pet won’t just cost you more in food, it could also increase the risk of health problems from obesity such as joint problems and heart disease. Dogs meanwhile need to be kept groomed in order to prevent fleas and lice. By keeping illness and injury at bay, you won’t have to visit the vets as often, saving you money in expensive treatment.